How To Connect Your Laptop Or MacBook To Your TV - Which? 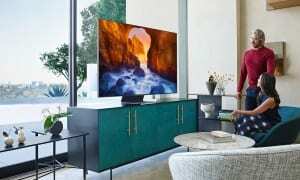 Find out how to connect your laptop to your TV and show your favourite photos and videos on the biggest screen in your home. A laptop with plenty of hard drive space is perfect for storing all your photos, videos and music. But when it comes to watching videos and looking back at your photos, you can't beat a big, high-resolution TV screen. Built-in wi-fi is almost ubiquitous in modern TVs, and connecting a laptop to one is really easy as a result. Even if your TV isn't as smart as the latest sets, the wealth of connections on laptops means there are usually plenty of options for connecting your laptop with a cable. As well as displaying anything on your hard drive, once a laptop is connected your TV effectively becomes a monitor. You could browse the internet, play games and use any software on your laptop on a bigger screen. In this guide we'll take you through the process of getting your Windows laptop or Apple MacBook connected with your TV. Miracast is a piece of software included in Windows 8.1 and 10 which allows your laptop screen to be displayed on a compatible TV screen. It's a process called screen mirroring. 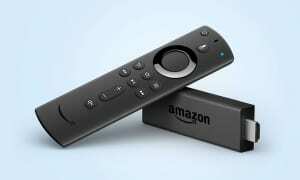 You'll use your laptop's trackpad and keyboard as normal, but your TV will be the display. 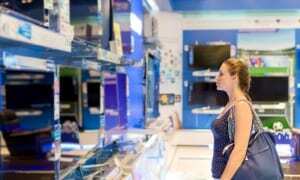 For Miracast to work you'll need a compatible TV. To check, head into the network settings on your TV and look for a screen mirroring option. If you see screen mirroring this usually means the TV supports Miracast, but it's possible the TV uses its own proprietary screen mirroring software, in which case it will explain how this works on screen or in the manual. Once screen mirroring is on, you can start connecting your laptop to your TV. Right click the bottom right corner of your screen and select Open action centre. In the action centre, select the box labelled Connect. The computer will search for wireless displays. Look for a display that matches the brand and model number of your TV. Select your TV, once the computer has found it. The computer or TV may ask for a pin code to complete the connection. It will be displayed on one device and you'll need to enter it into the other. Your TV should now display what's on your laptop screen. You can choose whether you want the TV to duplicate the screen (mirroring), or extend the display if you want to carry on using your laptop screen as well. The process is slightly different if you're using this older version of Windows. Go into your Settings and select Devices. In the Devices screen select Project. Next select the Add wireless display option. Your laptop will now search for compatible devices. 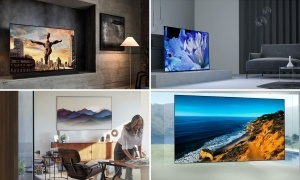 Look for a display that matches the brand and model number of your TV. Your TV will display a pin which you need to enter into your laptop. You should now see your laptop screen mirrored on your TV screen. You can also choose to extend the display onto your TV if you want to carry on using your laptop screen, too. If your TV doesn't support Miracast or screen mirroring, you can link it to your laptop with a Google Chromecast device. You'll need to have the free Google Chrome browser installed on your computer for this to work. Open the Chome browser and click the three dot icon. You'll find it just below the X you use to close the window. Select Cast... from the dropdown menu. A separate box will pop up and start searching for your Chromecast. While it's searching click the Cast to dropdown menu and select Cast tab to display your current Chrome tab or Cast desktop to mirror your computer screen on your TV. Click the Chromecast you want to connect and you'll see your laptop display on your TV. Apple uses AirPlay to link devices together to stream media. To get your MacBook screen to display on your TV wirelessly, you'll also need an Apple TV. Click the AirPlay icon on the MacBook's menu bar. Select the Apple TV you want to connect to from the dropdown menu. Select the Apple TV input on your TV to start displaying your MacBook's screen. Once connected, you can select Mirror Built-in Display, which will set the resolution to the same as your MacBook, Mirror Apple TV, which use your TV's maximum resolution, or Use As Separate Display if you want to carry on using your MacBook screen and use the TV as an extra display. Apple TVs aren't cheap (the latest model is £149), but you can achieve the same result with a £30 Chromecast. The connection process is the same as with a Windows laptop. If your TV doesn't support wireless screen mirroring, you can still connect your laptop or MacBook the old-fashioned way. How you do it will depend on the ports on your TV and laptop. Ideally, you should use an HDMI cable. This transmits both video and sound, which is handy if you're watching a video or want to listen to music through your TV. Some older laptops don't have HDMI outputs. If yours doesn't, look for a VGA port instead. Unfortunately, VGA only transmits video, and newer TVs don't have VGA inputs. You may also a see a micro-HDMI output on your laptop. You can buy a cable that has this smaller HDMI connector at one end and a full-size connector at the other. Connecting your laptop in this way will give you the same options as a wireless connection. You'll be able to mirror your laptop screen or extend the display or your laptop.